Live streaming coverage of PAX Prime begins Friday, August 31 at 10:30am ET. Gamers start your systems. Penny Arcade’s PAX Prime 2012 is here, kicking off Friday at 10:30am ET. The gaming event is taking place at the Washington State Convention Center in downtown Seattle from August 31- September 2 and if you aren’t able to make it there in person, then why not watch the PAX Prime 2012 live stream online with FreeCast. Free live streaming coverage of PAX Prime 2012 will be available to watch online from Friday morning until the conclusion of the Omegathon Final Round, which begins at 5:30pm ET on Sunday. PAX Prime is a video game expo that includes live music, an E3-style exhibition floor and several games in all genres for PCs, Xbox, iPads and more. The event was started by Penny Arcade in 2004 and has continued to grow at a tremendous rate over the years. Watch PAX Prime 2012 live online for free and discover just how epic the gaming event is. PAX Prime is much more than just a video game tournament. It features an exhibit hall where publishers and developers provide unreleased games and hardware, a handheld (PSPs, Vitas, 3DS) lounge with hundreds of beanbags, a console freeplay area with hundreds of the latest consoles and game titles, a tabletop area for board games, a high-end PC area and the Omegathon. 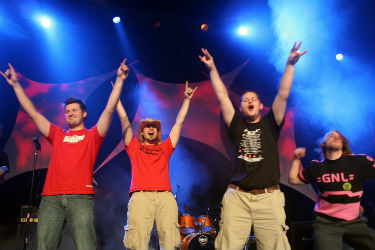 In the Omegathon, 20 preregistrants are randomly selected to compete in a video game tournament that consists of six rounds and is held throughout the weekend. Gamers are made aware of which games will be played in the Omegathon weeks before PAX Prime starts, with the exception of the game in the final round, which is kept secret. Don’t miss out on the opportunity to watch PAX Prime 2012 live online for free as the Omegathon champion is crowned awarded a free trip to Japan. Live streaming coverage of the PAX Omegathon will be available to watch online from start to finish. The ten video games featured at PAX Prime 2012 are Cannon Brawl, Catch-22, Containment: The Zombie Puzzler, Deity, Johann Sebastian Joust, Offspring Ling, Puzzlejuice, Splice, The Bridge and The Swapper. Watch PAX Prime 2012 online live for free and see who the masters are for each of these games. For all those die-hard gamers out there who weren’t able to make it to PAX Prime this year, we’ve got you covered at FreeCast. Just check out our Live Streaming Coverage Guide online and start watching PAX Prime live online as soon as things get going on Friday at 10:30am ET. If you don’t have a computer, you can always watch PAX Prime 2012 online live with your tablet or mobile device too.